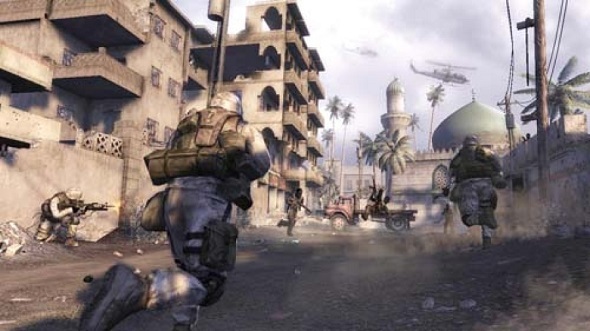 Six Days In Fallujah, the unreleased tactical shooter by Atomic Games, was surrounded by controversy from the day it was announced. While military shooters are fairly commonplace now, in 2009, no games had directly dealt with the war in Iraq, much less one of its most brutal battles. Here’s our list of the best war games available on the PC. Nathan Cheever is a games artist and world designer who worked on Six Days in Fallujah, and he’s written a post for Gamasutra that explains how the game’s campaign took shape and changed as Atomic incorporated input from several former U.S. marines. Atomic had initially planned 30 levels, five for each in-game day, but this was eventually pared down to 12 levels when Konami stepped in to handle publishing. The partnership was short-lived, however, and Konami pulled out of the project when controversy surrounding the subject matter became too heated. Families of servicemembers killed in action in Fallujah worried that the game would trivialize the battle, but Cheever says the goal for Six Days In Fallujah was always to bring home the realities of war. It’s an interesting peek into the game creation process, and Cheever shares some of the guidance documents he created to pace out the game’s narrative and key gameplay moments. He leaves open the possibility of Six Days In Fallujah eventually being finished, but if development continues he said everything will have to be redone in order to meet modern demands. After Six Days In Fallujah, Cheever went on to work on Defiance and Mafia III.